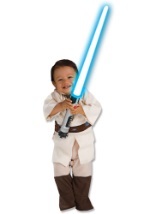 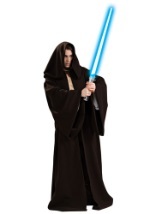 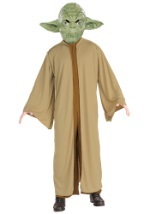 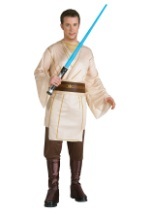 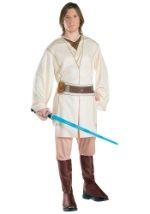 Transform into a legendary Jedi Master this Halloween in this deluxe Obi Wan Kenobi Star Wars costume. 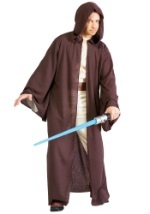 The costume consists of a tan and black tunic. White padded armor is attached to the tunic on the front, the back, on each shoulder, and on each arm over the bicep and forearm. 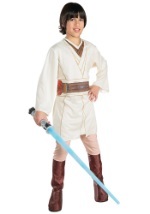 The belt is brown with 3D features. 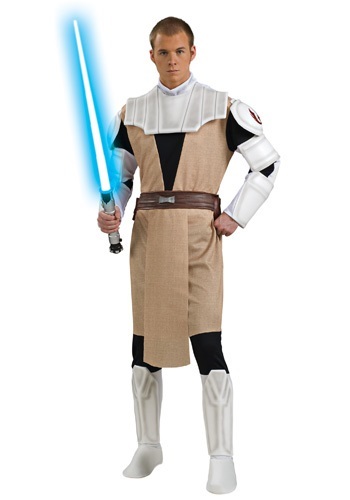 The pants are black with padded white boot tops. 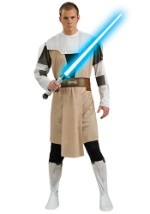 The white armor has graphics creating a used and authentic appearance. 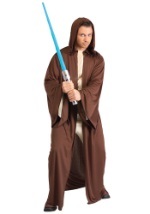 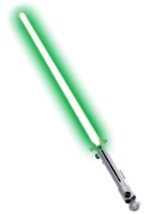 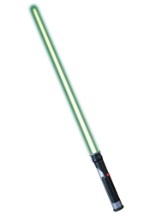 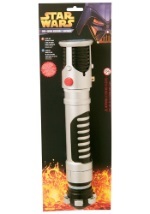 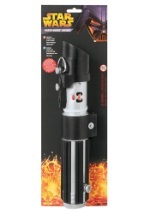 All you need to complete this costume is a lightsaber.